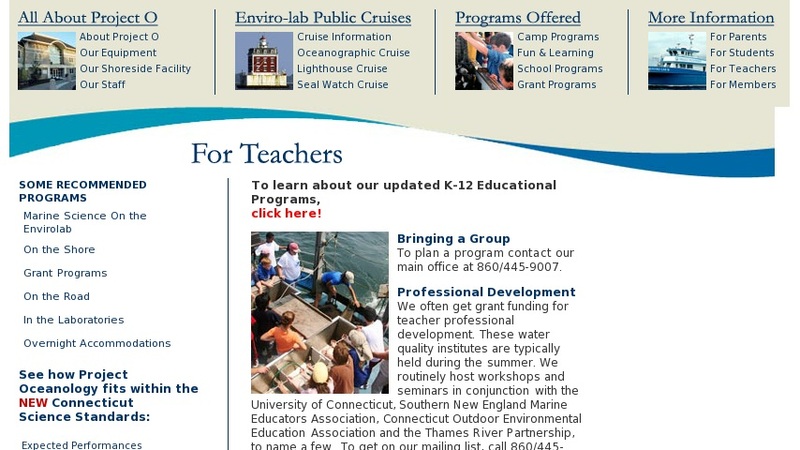 Non-profit marine education center in Connecticut is operated by several New England school systems and science institutions. Offers standards-based marine science training for teachers, programs range from graduate-level evening courses to multi-week summer institutes, shipboard expeditions and in-service workshops. Course format and topics vary annually, but can include shoreline and shipboard studies of marine biology, oceanography and maritime history. Hands-on investigations highlight learning by doing, using authentic scientific equipment. Application process and fees may apply.